With permission from her family, it is with profound sadness that I share that our sweet hidden friend, Britt Longoria passed away last night. She was going to have emergency surgery and her heart stopped. You could always guarantee that Britt would be at one of our socials no matter how bad she felt. It is a privilege and honor to know this angel and her family. I was really looking forward to seeing what fun costume she would wear at Boo Bash. Though my heart is broken, I would not trade a second of knowing her. She will be missed. Thank you to each and everyone of you who has helped with Mik’s Hidden Hearts Alliance for Dysautonomia Teens in a variety of ways over the years. It frustrates me personally that I can not cure these kids. That I can not give them more than a fun night out (Anti-PROM) or a Hope Kit care package. I want them cured. Though Britt suffered from other serious life long illnesses and suffered from dysautonomia as well, she lived life to the fullest. YOU, my friends, put this smile on her face. 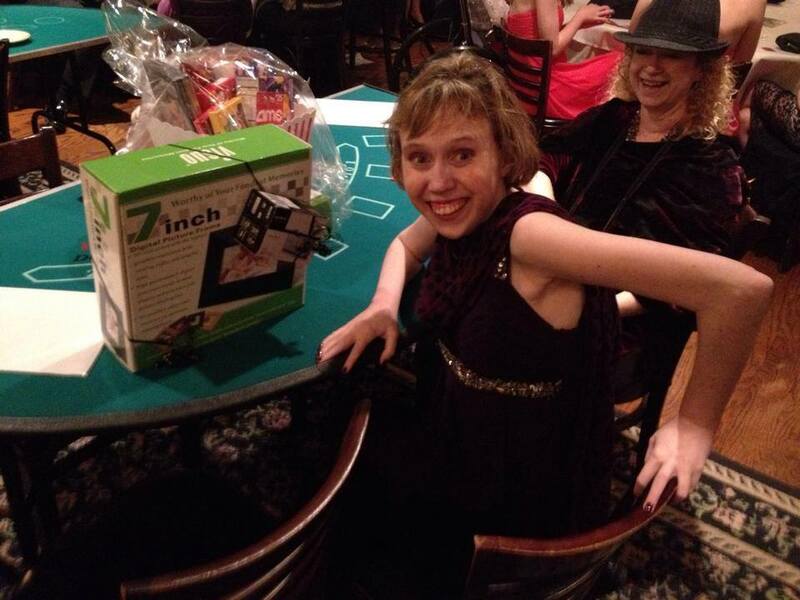 She was so excited when she won this prize at Anti-PROM 2014. She showed up at Anti-PROM 2015 and had to leave because she was too sick. However, just the anticipation of getting to go and getting her Anti-PROM prizes brought joy to Britt’s day. She attended 99% of our socials – big or small because she was tired of being isolated and alone. She was a great kid and taught me a thing or two about tenacity and strength. My prayers are with her sweet family. I can not express my appreciation to all of you who make MHHA happen. If we can not give these kids a cure, then I at least want to put a big smile on their faces. My frustration and sadness at her passing will be filtered through my faith… until then, she renews my determination and purpose that more has to be done for these kids. 4th Annual Boo Bash – Tickets Flash Sale! Get them before they are sold out!